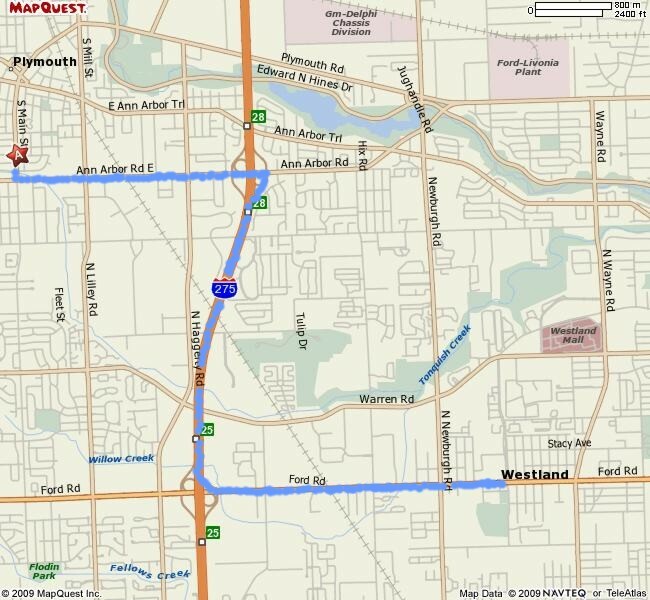 The route is marked in blue to Engraving Connection. Take Ford Road West to I-275 North. 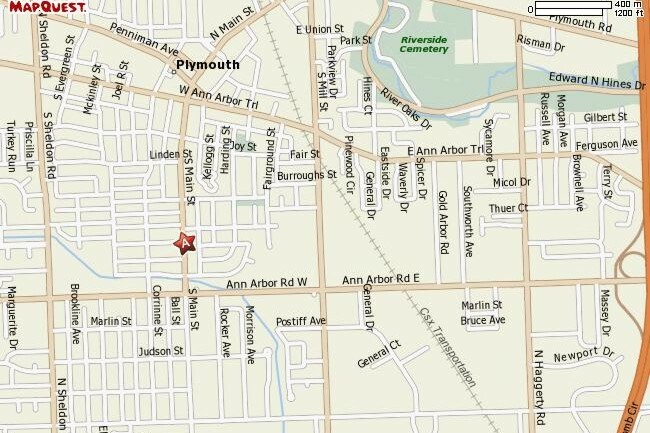 Take Ann Arbor Road West to Main Street. Make a right hand turn onto Main Street. Engraving Connection is on the right hand side just a short ways down. Turn in just before the building. We have a green awning.